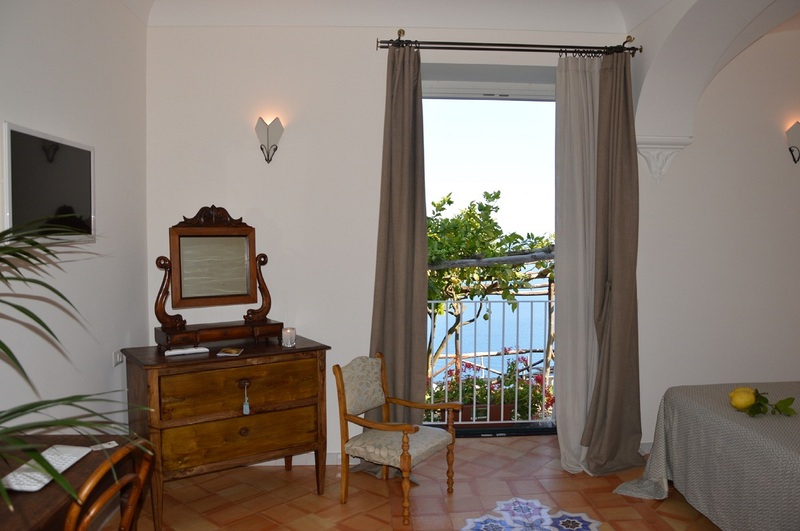 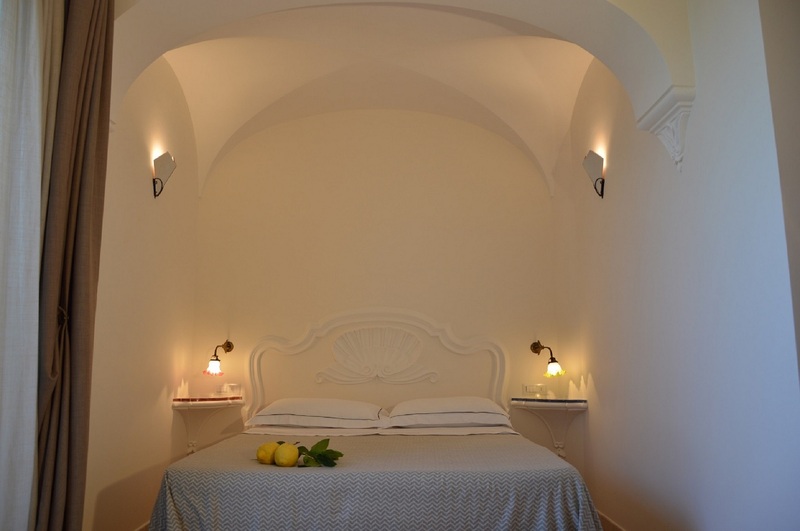 Erizia is a superior room that looks out over the west side of the Amalfi’s bay and has a private terrace in the lemon garden. 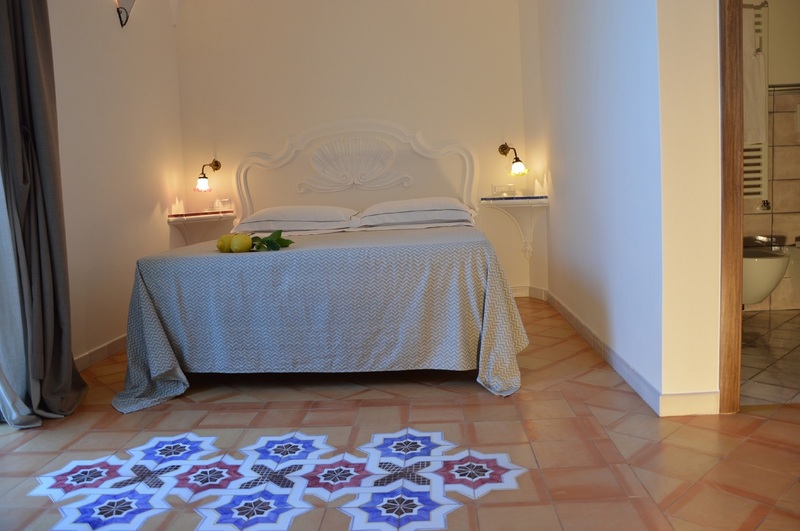 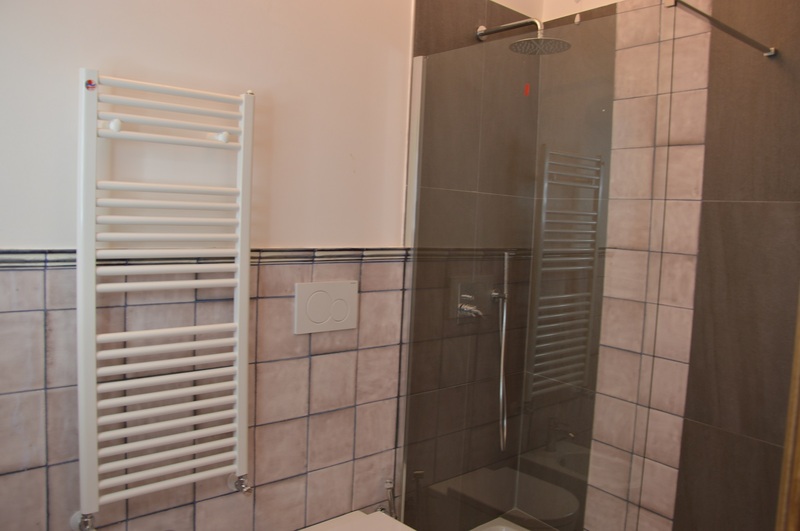 The room has white-washed walls and hand-made tiles on the floor with “Palumbo” decoration made by Cotto Rufoli De Martino. 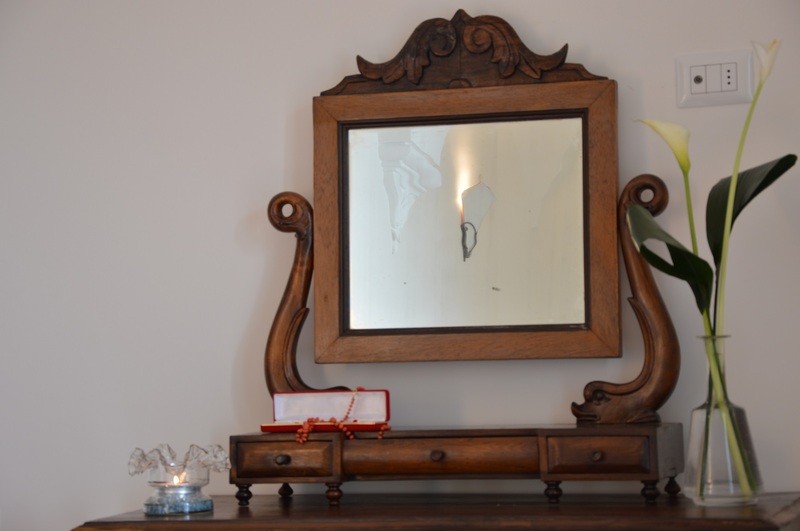 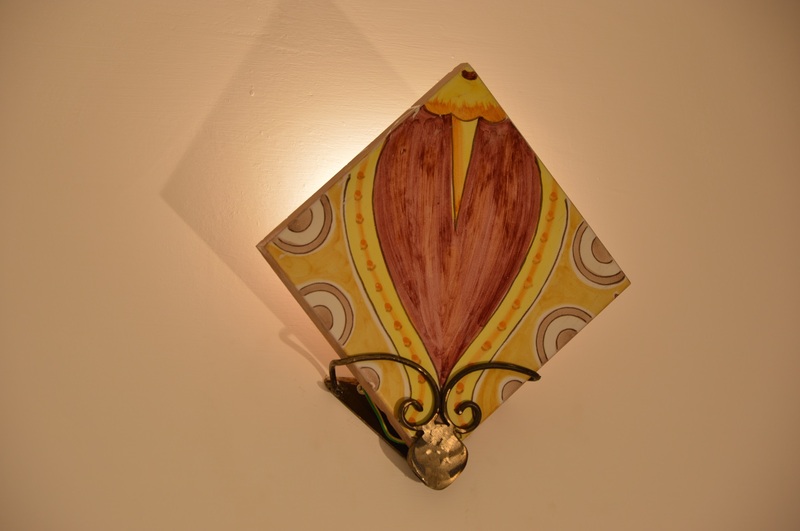 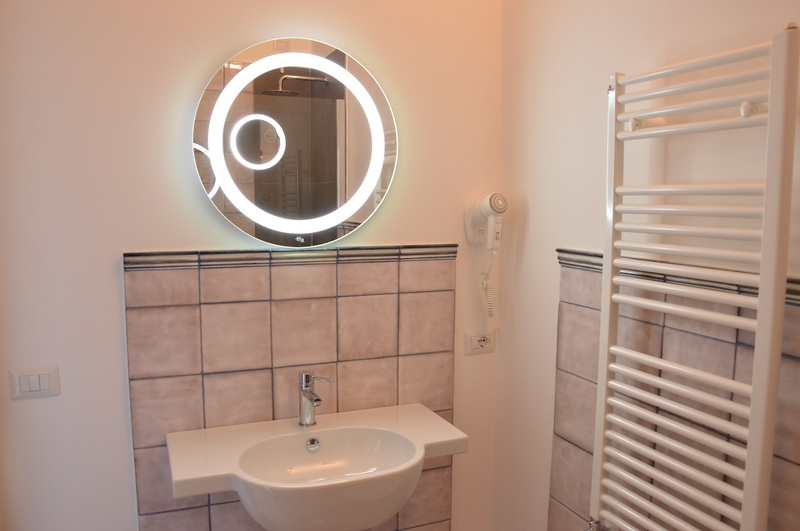 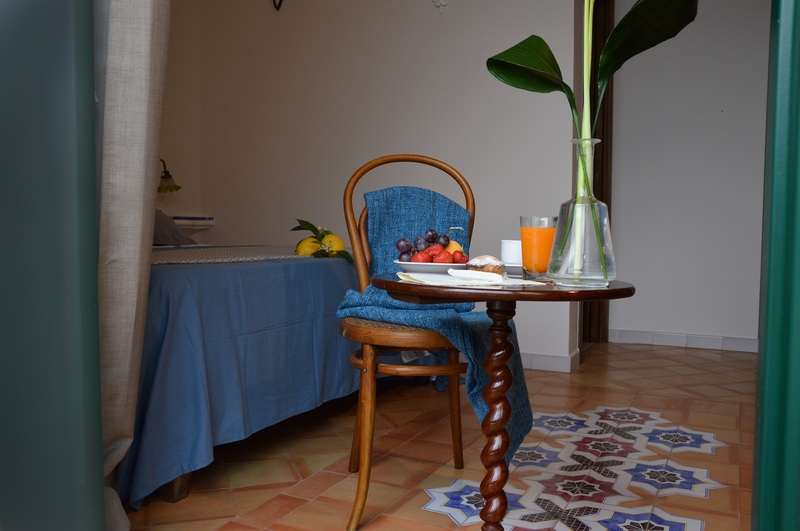 Erizia is decorated with antique and contemporary furniture coming from Naples and Amalfitan coast, it has a flat screen smart TV with Internet access, wi fi free of charge, air conditioning, and minibar. 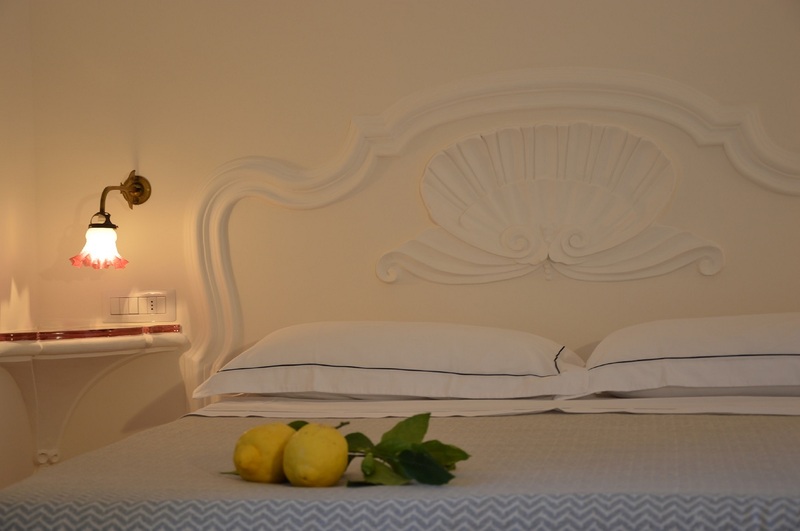 The bed, swathed in fine Italian sheets, measures 180 x 200 cm in size (5 inches less than a King size and 11 inches larger than a Queen size) with an hand-sculpted plaster headboard.